March was a very satisfying month for sewing! I finished two not-for-me projects that, to be honest, I wasn't really looking forward to sewing. I used up a cut of fabric that had been hanging out in the stash for some five years. I also sewed two woven dresses for myself, both of which I love. And I only bought three yards of fabric! I'm going ahead and calling this month a win. 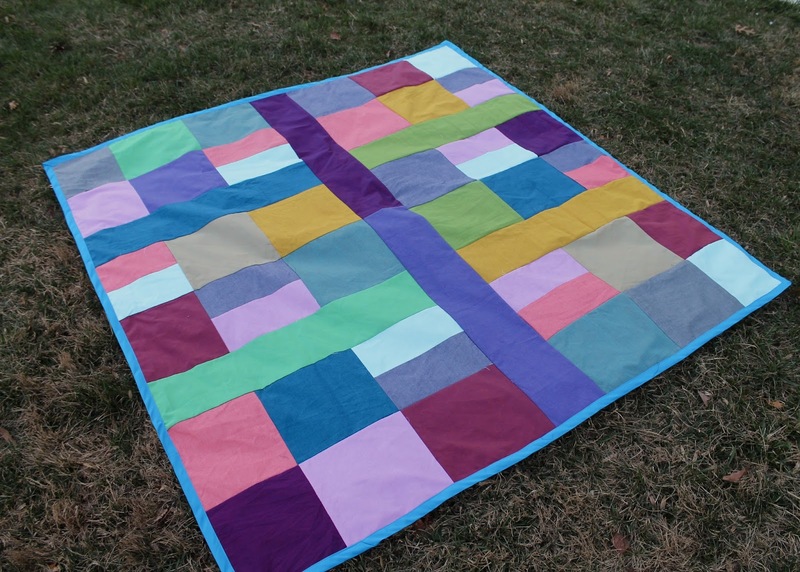 This picnic blanket has been eight months in the making. It is a very belated wedding gift for a dear friend, made using the leftover fabric from another, very belated, wedding blanket for a dear friend. Etiquette apparently dictates that one has up to a year after the wedding to send a gift, and I'm still just within the window. Pajamas are one of those things I have never been able to bring myself to spend money on. I know, it's stupid, I could easily pick up a cute pair at Marshall's without breaking the bank. But for years, my go-to night look has been a pair of ratty pj pants (bought by my mother some 10 years ago) or ratty shorts with on old, equally ratty t-shirt that I stole from my husband. It's not a cute look. February was a busy month, and though I sewed quite a few individual garments, most of them were underwear and other things that don't take much time to assemble. I still have to blog a couple of these projects, and others will only be recorded here. 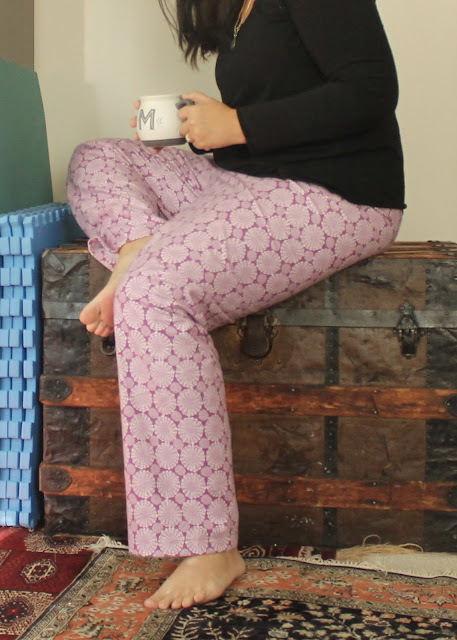 1) Simplicity 1563A pj pants. These used up 3 yards of flannel bought from FabricMart in January for this precise purpose. Completed 2/2. These will be on the blog soon.